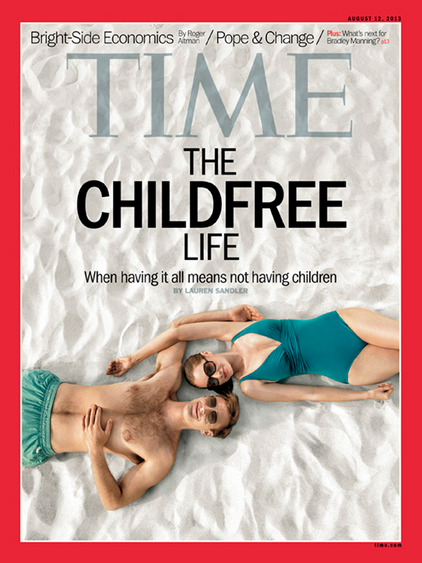 a note from apple seeds: Thoughts on Our "Right to a Child-Free Life"
Thoughts on Our "Right to a Child-Free Life"
What you think of Babble's reaction to Time Magazine's recent cover story "Right to a Child-Free Life"? Look at this family fun! Today I’m going on about 4 hours of sleep, not wearing a bra (which is offensive and probably dangerous in my “I’ve-been-nursing-a-baby-all-night” state) and I’m still in my pajamas—it’s noon, and my office is so messy I had to do some creative gymnastic-like moves just to get to my desk. And man, I’ve never made motherhood seem less appealing. Did I mention I’m starving because I’m trying to lose my baby weight? 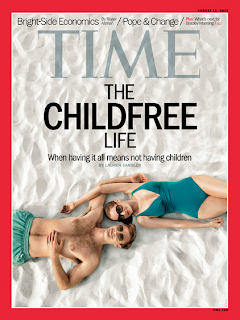 In short, Time’s article speaks to the struggle of women who have made the decision to stay childfree. The gist is that they feel oppressed, judged, and annoyed with the barrage of mom-centered advertising. News flash, I feel the exact same way. As for the article’s subhead “When having it all means not having children” I’ll hardly address it because I think we all know it was used because it sounded catchy. We’re all past thinking we can “have it all” right? I hesitated to even respond to this article at first because I feel like it’s trying to pit moms vs. sane rational women who have chosen to avoid stretch marks. 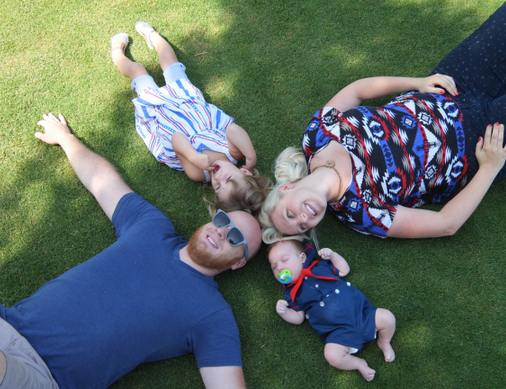 We’re damned if we have children, because we don’t just get to be “moms” anymore, we have to have a slew of other activities or a job to tell people about. I get that childfree women spark defensiveness in mothers. I can’t speak for other women, but I know for a split-second I’ve wondered, “Do you think less of me for wanting children? Why is what I want not good enough for you? !” When a woman has told me she doesn’t want children. But notice how I’m mostly just thinking about myself in that scenario, and it has probably come off as judgmental when in reality it’s my own insecurities. I think, yet again, it comes down to our society’s flawed definition of womanhood, and our compulsion as women to compare ourselves to other women. It’s always confusing when we all do something, but all do it differently, to agree on a definition, right? My 3-month-old and my 3-year-old aren’t the only reasons I’m going on so little sleep today. I was up tossing and turning, yet again, over not knowing what to do with my life. I probably work almost 40 hours a week, yet I still hesitate to call myself a “working mother” because I don’t go into an office 40+ hours a week, so I don’t want to outrage those moms and act like I know their pain. Then again my husband has a freelance work schedule, and I don’t have to wrestle my two children alone every day from 7am to 8pm. I use that explanation defend to my work schedule to the “real moms” the moms who are alone all day with little support. So where does that leave me? I have been ridden with anxiety lately. I don’t know what I’m supposed to be. I’m a mom, I’m a writer, I’m a wife, I feel pressure to keep the house clean and to plan structured activities for my children. Then again I also just want to watch Pretty Little Liars during naptime. But reading this article has reminded me that first and foremost I am a woman. Childfree or dripping with children, I think to be happy and to progress as a society women need to find their individual definitions of womanhood, of good and virtuous womanhood, and then do their best to live up to their own definition without judging other people for theirs. So because I have the floor, I’ll declare my personal definition of womanhood, but I also reserve the right to modify it as I grow and progress. I believe that being a good and virtuous women means nurturing those around me. I believe that being a good woman means offering more praise than criticism, and not comparing myself to others. Because when I tear myself down I am more prone to tearing others down. I believe a good woman is honest, informed, and educated to the best of her ability. I believe being a good woman is being full of love. But then again, I’ve always been a bit of a hippie at heart.